And so it begins, the wild adventures of Marcus and Katie in the newly furbished Strong Roots food truck. 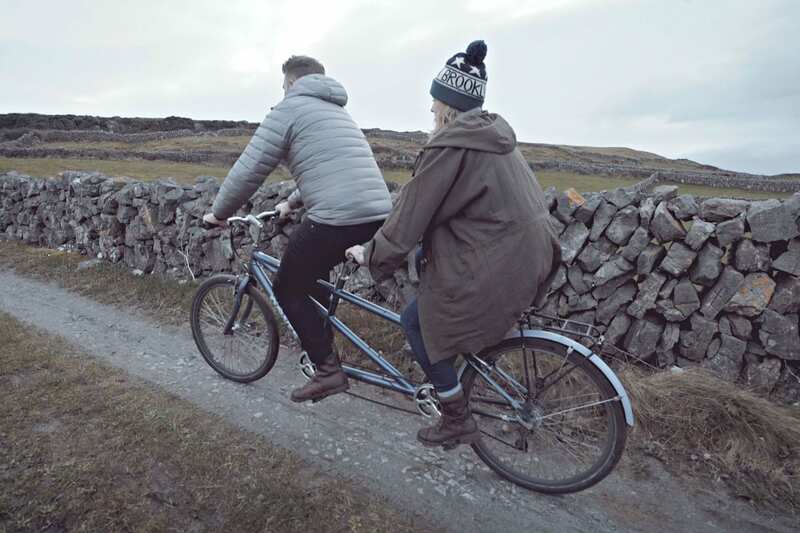 Accompanied with a blank cookbook, the pair have set off on a journey around Ireland discovering new Strong Roots recipes along the way. First stop, Tedfest. 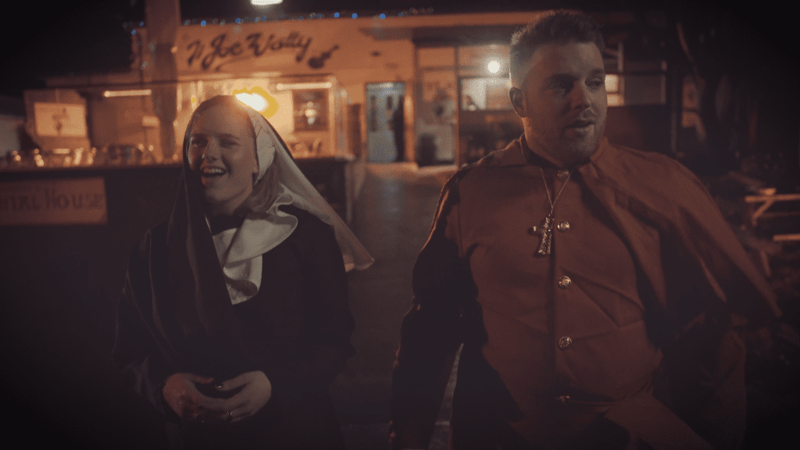 Tedfest is a craic fuelled festival located on the island of Inishmore, off the coast of County Galway, where fans of Father Ted run amuck in priest and nun costumes. Tasked with finding the first recipe for the cookbook, they quickly realise they can’t take the food truck with them to the remote island, so Katie looks to her rocky surroundings for inspiration. Seeing as the island has a bigger population of goats than people, they decide upon a dish called Poutine consisting of Aran Islands Goats’ Cheese, Strong Roots Sweet Potato Fries, and chicken gravy. 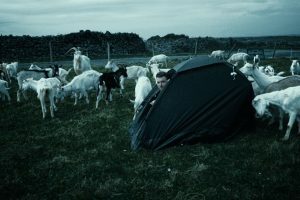 Once the Poutine is cooked and shared amongst the nuns, Marcus and Katie enjoy the festivities, partaking in a priest dance-off, sleeping rough in a flimsy tent only to be woken by a couple of noisy goats. And if you found their Poutine dish appetising, take a look at the recipe below and try to make it at home! 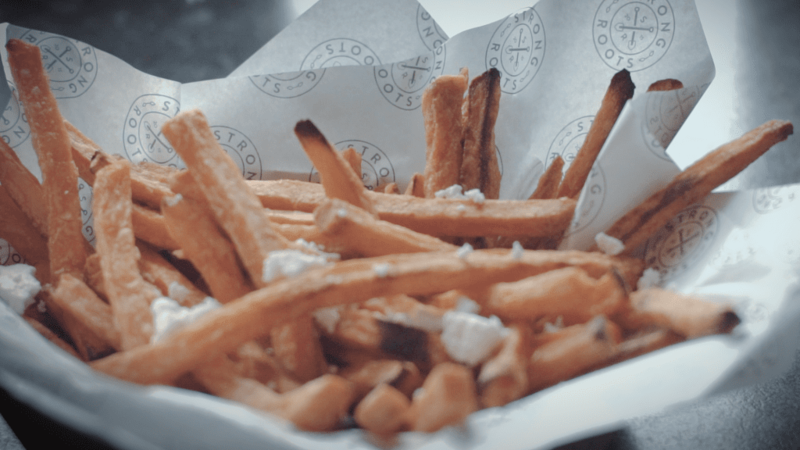 Place the Sweet Potato Fries onto a tray and bake for 20 -23 mins at 200°C. To make the gravy, cook a spoon of flour and butter together in a pan until fragrant. Add chicken stock, stir until simmering and thick. Season to taste. Pour the mixture over a plate of Sweet Potato Fries, crumble the goats’ cheese and garnish with the fried spring onion.